Lake County Florida contains more than a thousand lakes including the vast Harris Chain covering over 50,000 acres of water. The majority of the larger lakes are open to the public year-round and well maintained boat ramps are plentiful. Cruising the Chain is a popular pastime with numerous waterfront restaurants and sightseeing attractions such as the Dead River and the Dora Canal. The lakefront cities of Eustis and Tavares are especially popular with boaters who dock free along the waterfront and walk across the street to visit downtown area restaurants and shopping. Lake Eustis and Dora host numerous sailing regattas as well as popular power boat racing events. The Antique Boat Show in the Spring draws thousands of visitors to Mount Dora and Tavares each year. Lake Dora is the home of many antique boat owners, who can be seen each weekend cruising the Chain of Lakes in their meticulously restored wooden boats. Forth of July festivities include fireworks over the Lakes. Boaters have a front-row seat at this popular event. From the center of Lake Eustis it is possible to view the fireworks of Mount Dora, Tavares, Eustis, Clermont, Leesburg and Lake Lake, all at the same time! 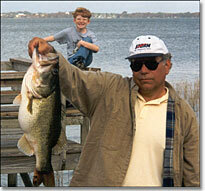 Largemouth bass, our most popular freshwater game fish, are plentiful and regularly grow past the 10 pound mark. Speckled perch (crappie), blue gills, and catfish are very popular with anglers who are hoping for a fish dinner at the end of a day on the water. For more information on Lake County's great fishing visit www.lakecountybass.com. 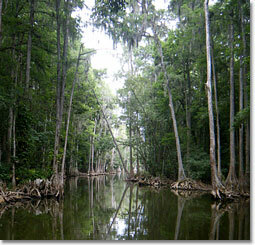 The Saint Johns River boarders the county on the east. If you're so inclined, you can cruise the river all the way to Jacksonville where it flows into the Atlantic Ocean. If you have questions about the Harris Chain or any of our area lakes, please contact us through this website.